Winner of 2013 and 2014 AIBD Gold Award for Outdoor Living/Landscape! Based on Lake Norman and serving the Carolinas, Jan Enright Creations is devoted to bringing comfort and joy to living in outdoor spaces. Nearly 30 years of inspiration has gone into creating landscapes and gardens that have been featured in Southern Living and other national magazines. Jan's love of bringing the best has resulted in her specializing in Chef's Gardens, Wildlife Gardens, Outdoor Sanctuaries and Entertaining Gardens. Jan offers lectures on gardening topics to groups and works hard at staying abreast of new plant cultivars and outdoor ideas to bring the best to each new landscape design she creates. Each client brings different needs and dreams and Jan Enright Creations always strives to bring unique and heartwarming solutions. Her firm's artistic flair is exhibited in every aspect of her work. When Jan gets a chance, her paint brushes come out to create one-of-a-kind paintings that delight her and their recipients. At Outdoor Artisan, designing and building outdoor living spaces is not just our business, it is our passion! Please take a moment to read our customer reviews and browse our project portfolio to see the very real difference that passion makes. We are a family owned hardscape company, dedicated to providing our clients with exceptional service, thoughtful design, and craftsman quality installation. We design and build outdoor living spaces and structures, as well as commissioned art and memorials. Our team also provides carpentry, lighting and landscaping services to complement and complete your space. If you are looking to hire the contractor with the lowest bid, please keep looking, we are not the company for your needs. However, if you want to work with a trustworthy team, committed to designing and building exceptional outdoor living spaces, please contact us. We would love the opportunity to show you what we have to offer. We are a Charlotte-based company that specializes in the construction of fabulous in-ground pools, outdoor living areas, home renovations and masterplan designs. With over 36 years in the construction industry and thousands of successful projects in Charlotte our design-build team has earned a solid reputation for excellence, integrity and innovative solutions. With Coogan's, you can feel confident in the fact that you've chosen trained professionals, are passionate about design-build and sensitive to your budget. We are a single source provider which assures the client of an integrated process. Our company will seamlessly coordinate the design and construction process for a better than expected end result. Our innovative designs created by our 'in-house' architects provide intelligent solutions and amazing living spaces. Coogan's Design-Build perfectly plans, coordinates and builds the entire home renovation project relieving homeowners from stressful construction details. Daniel Flynn and Brandon McCartha have spent decades perfecting talents and techniques that define their unique landscape designs and masterful installations. Unbound by the conventional, their gifts for imaginative detail consistently produce extraordinary landscapes, hardscapes, and waterscapes unrivaled in artistic design, timeless beauty, and comfortable livability. 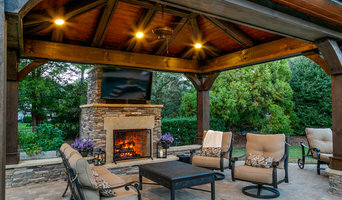 Whether you have a specific vision in mind for your landscape project or only bits and pieces of ideas, as consultative and creative solutions experts, we can offer imaginative, practical, and affordable recommendations to help you create that uniquely perfect outdoor living environment that reflects your style and taste! *Belgard Master Craftsmen & Belgard Authorized Contractor* Island Creek Landscape, Inc. is an award-winning residential landscape design and installation company specializing in landscaping, hardscapes, landscape lighting, drainage, and horticultural maintenance. Owned and operated by Daniel Griffin, NC State alumnus with a Bachelor of Science in Horticultural Sciences, Island Creek Landscape, Inc. is staffed with skilled and dependable employees with many industry certifications. With our commitment to customer satisfaction and attention to detail, Island Creek Landscape, Inc. can help modify an existing garden or create your dream landscape from the ground up. One of North Carolina’s oldest nurseries partnered with the Piedmont’s premier Landscape Design- Build Company. Our nursery was founded in the 1930s and we've been family owned-operated ever since now spanning four generations. Our landscaping division officially started in 1976. We travel throughout the great state of NC but have worked as far north as Smith Mountain Lake, VA all the way to Myrtle Beach, SC. Toms Creek's main advantage is we have total control over the entire landscape process. Very few companies offer such high quality of work in so many areas. We strive to be the best at all we do, be it design, hardscaping, irrigation, water features or just planting a few shrubs. Though we are best known for our large projects, we do many small installations too, and quickly! Our main landscape crew can usually landscape an entire average sized house in 1 to 2 days. Entire Project or a piece at a time. Want to work in your yard? We can help! Let Toms Creek do the heavy work, we'll make the beds, build the walls/patios and even install the larger trees and shrubs. You can then handle the smaller planting at your own pace. 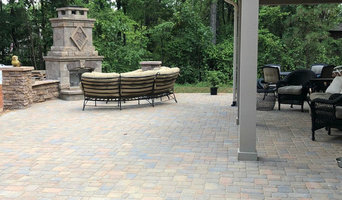 Growing Edge Landscape & Design, Inc.
*Belgard Authorized Contractor* GROWING EDGE LANDSCAPE & DESIGN is Hickory, NC’s premier landscaping company. We specialize in creating custom landscapes for individual needs. Whether it’s giving that troubled area a helping hand, or providing plans for an entire makeover, Growing Edge can cater to your landscaping needs—large or small. Since 2006, Growing Edge has designed decorative plantings and creative lighting, as well as beautiful hardscapes throughout Hickory and the surrounding western North Carolina areas. SecureTurf, Charlotte's Landscaping Experts, serving the metro Charlotte area for over 2 decades. We are experts in all areas of landscaping. If you are ready for a yard makeover we have great ideas for you! Maybe you are thinking of a beautiful hardscape patio with a cozy fire pit, great for this time of year. We have an awesome group of landscape designers who will take your vision and create your dream yard. We will also assist you in maintaining your new or existing landscape with one of our programs. Contact us today and let us see how we can see how we can best serve you. Intrinity Landscaping is the charlotte metro area sod installation and lawn renovation authority. We take great care to properly prepare and amend the soil as well as meticulously install your new sod. We will evaluate your property and determine which type of turf should be installed. Intrinity Landscaping also offer landscape lighting. David Henderson is a Charlotte native who has been passionate about green spaces ever since he mowed his first lawn at the age of 13 for money to buy a bicycle. Since creating Outdoor Images Management in 2002, he has grown the company at a steady rate, but still manages to get his hands dirty every day, often accompanied to the job site by Remy, his Jack Russell Terrier. David and his Outdoor Images Management team work with clients to create the exterior living spaces of their dreams. If you can imagine it, OIM can help you bring your vision to life. With a can-do attitude and meticulous attention to quality, cleanliness, and service, OIM delivers a great client experience from start to finish. David also brings the environmental sensibilities of an outdoorsman to every project. Eco-friendly services offered by OIM include water reclamation, water conserving nozzles, native and drought-resistant plant species, water usage analysis, and satellite data controlled sprinkler systems. If you're looking for deep expertise in your landscape contractor, look no further. A graduate of CPCC's horticulture program, David has 21 years of industry experience and is a licensed irrigation contractor and a North Carolina qualified pesticide applicator. With David Henderson and Outdoor Images Management, you can feel confident that your landscaping project will be delivered on budget and beyond your expectations. 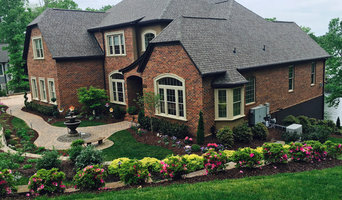 What does a Mooresville landscape contractor do? Landscaping contractors execute lawn, garden and hardscaping plans that have been drawn up by an architect or designer. They may also provide design services on their own. After the everything has been installed, landscape companies can make adjustments, maintain plantings, take care of weeds and pests, and perform other tasks to keep the scheme looking its best. A licensed North Carolina landscaper should have detailed knowledge of Mooresville, NC weather and climate trends and conditions, and can choose plants and materials that are well suited to the area. Residential landscape companies in Mooresville, NC also handle many of the same general duties as builders, including arranging for construction permits, hiring subcontractors and making sure that designs comply with North Carolina building codes. Find Mooresville landscaping services on Houzz. 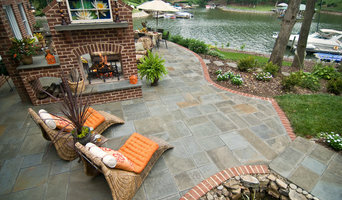 Narrow your search in the Professionals section of the website to Mooresville, NC landscape contractors. You may also look through photos of North Carolina landscapes to find one you like, then contact the landscaping company in Mooresville, NC who worked on it.